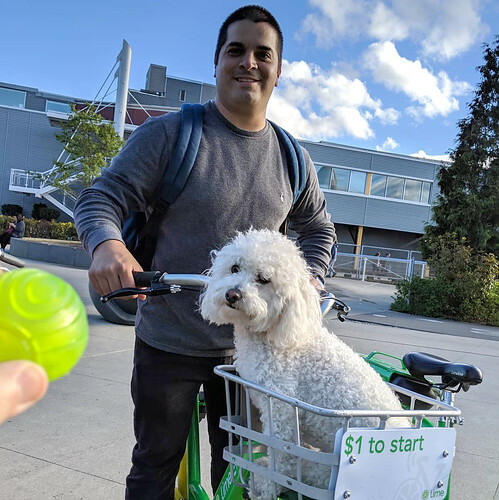 Whether you have more time now that the kids are back in school, or you simply want to get out and explore the city during these beautiful fall weekends with the family, recreational biking has never been easier. 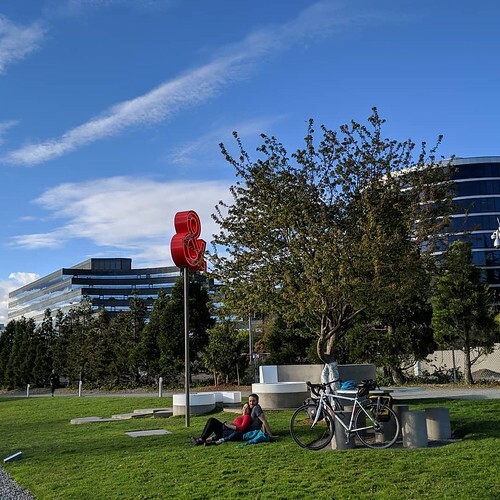 Enhanced biking trails with easy access from various neighborhoods, better bike rental options, SDOT trail maps and the new interactive online bicycle map all add up to the start of a fun—and healthy—way to see Seattle from a whole new vantage point. Popular landmarks, Native American historic sites, beautiful gardens and parks, scenic views and wildlife, restaurants and shops – it’s all accessible by bike. The best way to get started is to pick a trail based on location and points of interest. To that end, we’ve chosen five based on their accessibility and the unique and fun encounters they offer along the way. So, grab a bike, your helmet, some water and snacks (or make a pit stop for lunch at a nearby restaurant or cafe). Just over 18 miles, it stretches from Golden Gardens Park in Ballard to the Sammamish River in Bothell (near Woodinville’s wineries), and winds through Fremont, the University District and Lake Forest Park—giving you multiple points of entry, and much to explore over many rides. 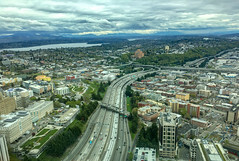 Highlights include: The Ballard locks, the famous Fremont Troll, Gas Works Park with its kite-flying hill, The U-District’s secluded path of maples, dogwoods and firs, Matthews Beach Park, and the city of Lake Forest Park with a serpent fountain and two lakefront parks. This scenic 7.7-mile trail, part of which hugs the northern and eastern shore of West Seattle along Alki Avenue, is one of the most scenic in Seattle, with wondrous views of Puget Sound, Mount Rainier and The Olympic Mountains. It’s great for beginners too because traffic on the trail is separated for bikers and walkers. 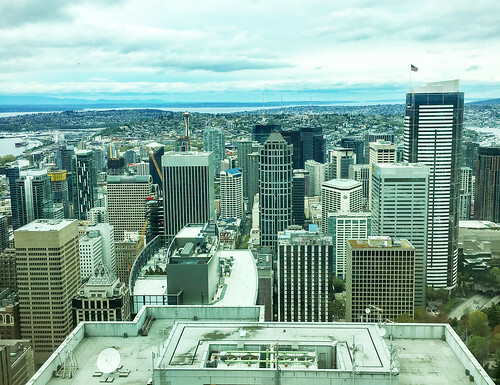 Highlights include: Alki Point Lighthouse, Luna Park (enjoy one of Luna Park Café’s famous milkshakes), and Alki Beach Park. From October-February, keep an eye out for Harbor seals, whales, sea lions, porpoises and sea otters. 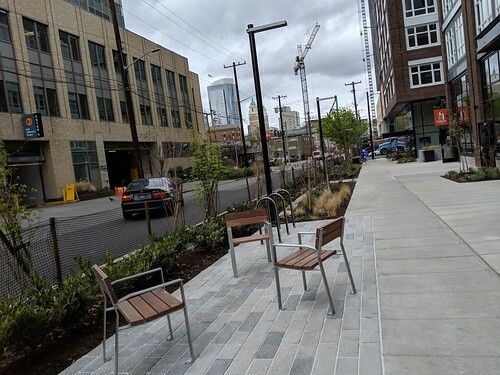 This 3-mile trail recently had a major makeover, which included an extension of asphalt for cyclists and pedestrians, pavement on previously unsurfaced areas, the clearing of overgrown vegetation, and new lighting along the trail route. Running along the Duwamish Waterway, it begins just a half mile south of the Alki Trail in West Seattle to South Park. Though it runs parallel to the road, there is some shoreline and scenic spots along the way. 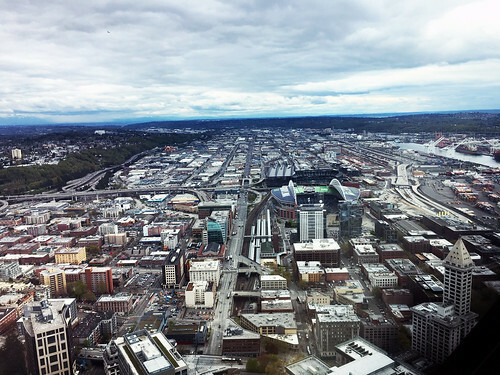 Highlights include: Cesar Chavez Park (check out the cool “Musical Steles” sculpture from nationally-renowned stone sculptor Jesus Bautista Moroles), Herring’s House Park (a green space with marsh and forest), and The Duwamish Tribe’s Longhouse and Cultural Center. 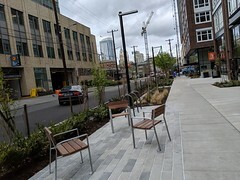 Chief Sealth Trail was created in 2007 and built almost entirely from recycled materials, including recycled soil and crushed concrete from the Link Light Rail Project in Rainier Valley. The asphalt-paved 3.6-mile trail connects Beacon Hill to Rainier Valley via gently sloped hills and is one of only five that cross the city. 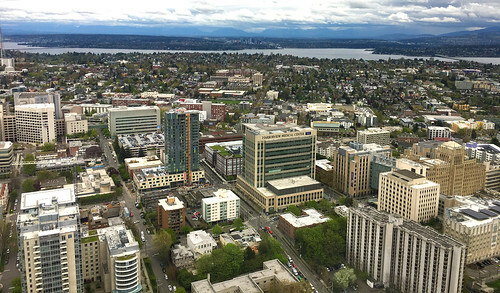 Highlights include: The Thistle P-Patch Community Gardens, Newholly Public Library, and Kubota Garden (a must-see 20-acre Japanese-style garden created by master landscaper Fujitaro Kubota that incorporates native Northwest plants and features waterfalls, ponds, and bridges). The 2.4-mile paved bike and walking path hugs the shoreline along 300-acre Seward Park with its old growth forest that’s home to eagle’s nests, native plants and stunning views of Lake Washington. 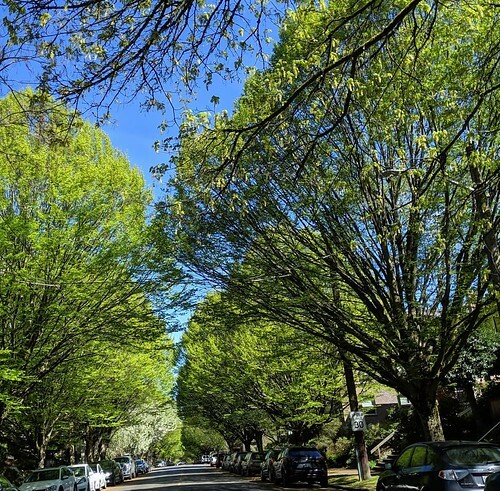 Highlights include: Seward Park Clay Studio (drop in on a class for kids and adults), a playground, an amphitheater, and sheltered picnic areas. For more info on these trails (and many more! 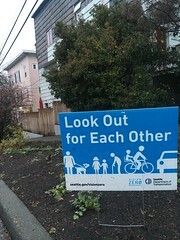 ), visit www.seattle.gov/bike. 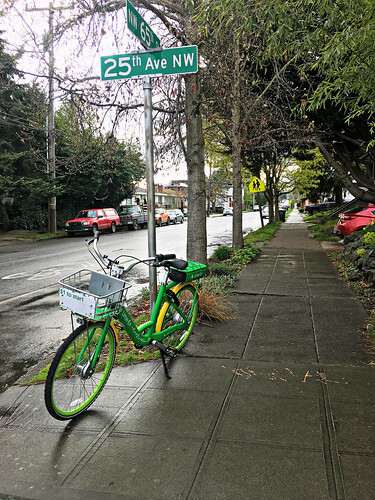 Late 2017/early 2018 we’re making safety enhancements on 5th Ave NE between NE 115th St and NE 127th St to reduce crashes and make it easier to walk and bike in the Pinehurst neighborhood. This Vision Zero spot improvement project is part of our plan to end traffic deaths and serious injuries on city streets by 2030. 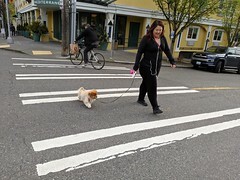 We’re also installing new flashing crosswalk lights to warn drivers when a pedestrian is crossing at NE 115th St. With the new Hazel Wolf K-8 school now in session on Pinehurst Way NE, flashing crosswalk lights can improve the visibility of students walking and biking to school across this busy street. During this work, you can expect temporary parking restrictions and detour routes for people biking and walking. We’ll provide advanced notification to adjacent residents and businesses prior to construction starting. 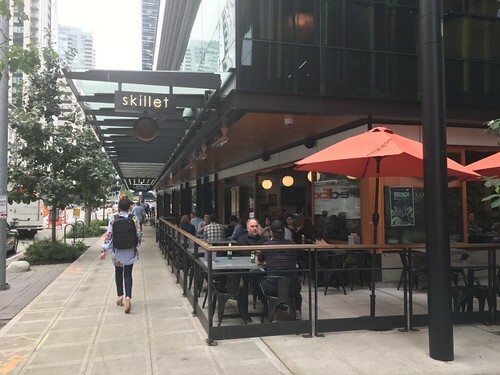 New Bike Lanes on Pike and Pine Streets! 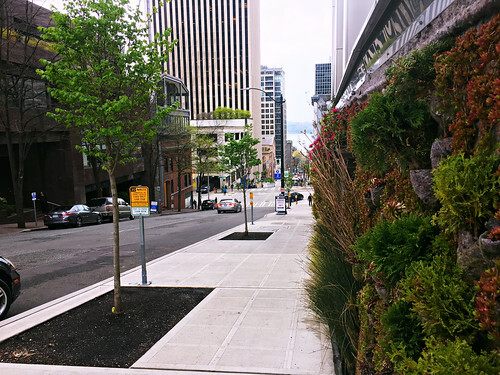 You may have noticed a little something different on Pike and Pine streets on your way in this morning – these streets now have bike lanes! It’s all part of our Pike-Pine Mobility Improvements project which includes new bike lane markings, posts, signs, and bike signals on Pike St and Pine St between 2nd Ave and 8th Ave. 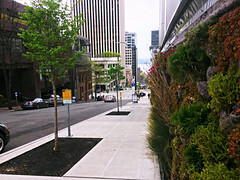 This initial installation will be updated with new planter boxes later this year to add to Seattle’s bustling retail core. Riders in the new bike lane on Pike Street near 5th Ave. Protected bike lanes and signal upgrades in downtown Seattle can improve safety for everyone and connect pieces of a center city bike network. We’ve made a commitment to build out a network spine by 2020 to make biking a real choice and calm traffic as more people compete for limited street space. We’re doing this work with our partners in the One Center City effort. Our #1 goal is to make streets safer for everyone. On Pine St, 1 in 4 crashes involve people walking or biking. We can make strides to reduce these numbers by better organizing our streets. A protected bike lane is just one of the tools we use to help reach our goal. 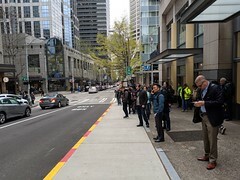 Check the status of the Pike-Pine Mobility Improvements project here. Cross Safely for School, Kids! We’re happy to report that the pedestrian crossing signal on Aurora at N 92nd was turned on just in time for the first week of school last week at Eagle Staff Middle School in north Seattle! On N 92nd St looking west across Aurora Ave N.
Thanks to great community support, our Safe Routes to School program, Neighborhood Street Fund, and our fine partners at the Washington State Department of Transportation, we were able to install a new crossing signal on Aurora Ave N at N 92nd St for kids walking and biking across this busy highway to the new Eagle Staff Middle School campus. 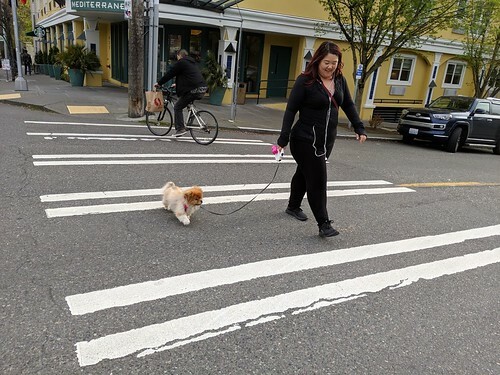 We think the signal and its new median on Aurora Ave N can help keep kids safe on their way walking and biking to school – which helps kids stay physically fit and ready to learn! Up to 1,700 kids will go to classes from Kindergarten through 8th grade at the new Eagle Staff Middle School Campus, which also includes Licton Springs K-8 School and Cascadia Elementary School. Cross safely, kids! Join us for a Rainier Ave S walking tour this Saturday, September 9, with our friends at Rainier Valley Greenways and The Urbanist! 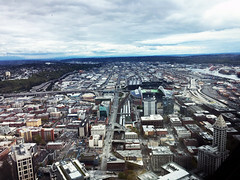 A birds-eye view of Rainier Ave S in Columbia City. 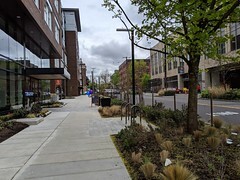 Two years ago, we redesigned a 1-mile stretch of Rainier Ave S in Columbia City and Hillman City to improve safety for all travelers. We’ve seen great results, including reduced speeds and collisions, so we’re looking to extend those safety gains further south along the corridor with Phase 2 of the project. 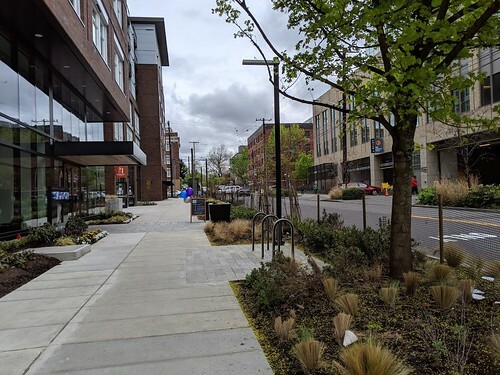 Improving safety on high crash corridors like Rainier is a key element of our Vision Zero effort to end traffic deaths and serious injuries on city streets by 2030. Last month, we shared two Phase 2 design options for community consideration. This walking tour (which will include a bus ride too!) offers a great opportunity share your thoughts on the project. This is a walking tour (approximately 1 mile) that will include a ride on Metro Route 7. Regular fare is $2.50 with exact change or an ORCA card. The tour will end at the Mt. 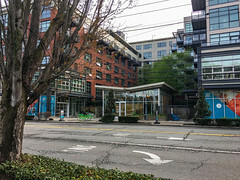 Baker light rail station, where we’ll also be working on the Accessible Mt. Baker project to improve access and safety in the area. For additional event info, head to the FB event page or the Eventbrite page. And learn more about the Rainier Ave S project at www.seattle.gov/transportation/rainieraves.htm.